This candle was sent to me free from ArtiSun for reviewing purposes. 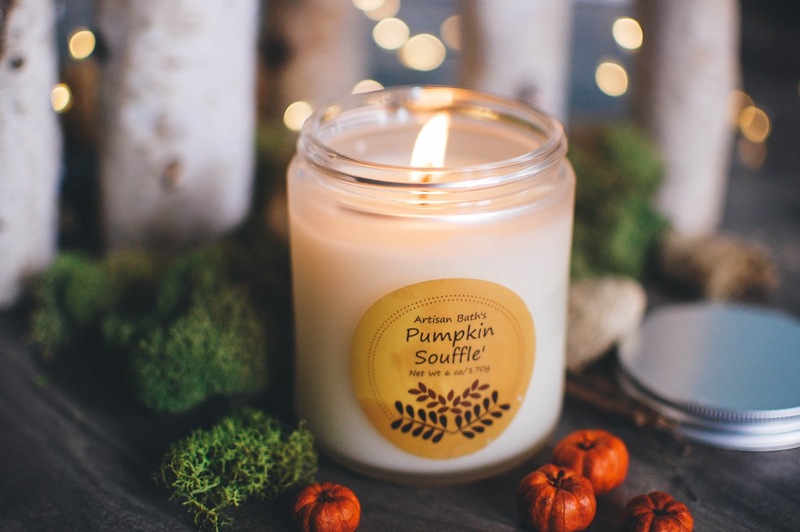 As part of my Fall Fun Series today I am featuring a Pumpkin Souffle 100% American soy candle from ArtiSun. This 6 ounce candle has a 55 hour longevity and runs $20. I do not always have luck with soy candles but this one candle scented my whole living area with a healthy medium-strong throw that filled the central area of my cathedral ceilinged home with the fragrance of creamy, almost coconutty, vanilla pumpkin treats. I didn't pick up on any obvious spice notes but there was a rich bakery density that was pleasing and cozy. 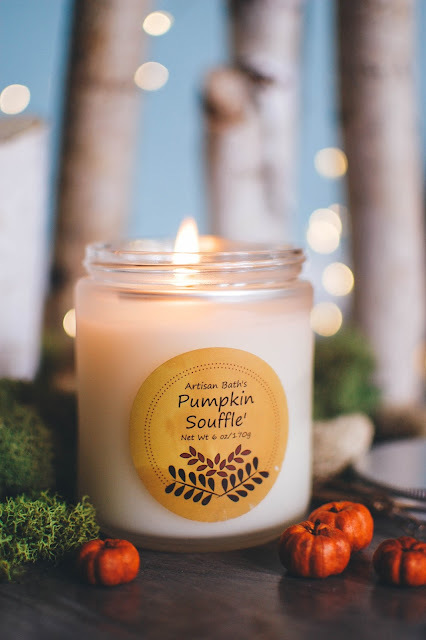 Signing up for their newsletter will give you 15% off and though $17 is still spendy on a candle this size... knowing it has a nice throw and performs beautifully and is handcrafted is enough for me. I would purchase this candle in a heart beat. And I may have to soon as this one is almost gone. 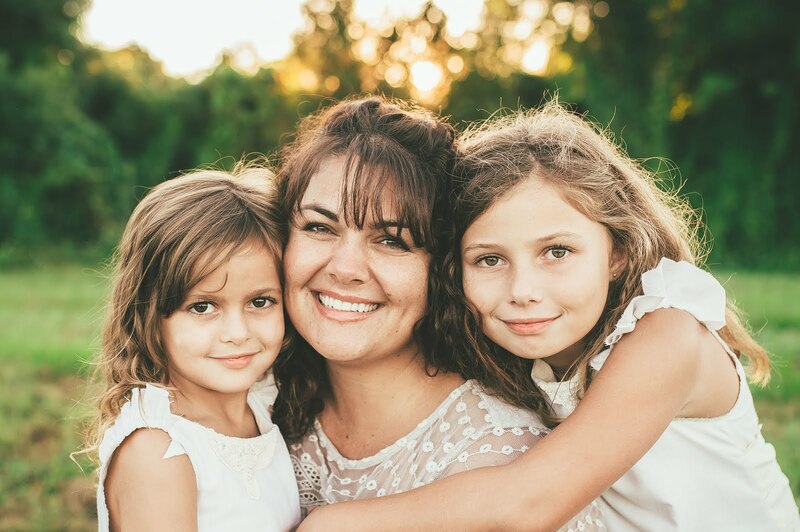 We are headed to Hunsader Pumpkin Festival today to eat some roasted corn, have a hayride, maybe ride some ponies and trains (alas, not me but the girls) and in general having some fall type fun. We picked out our carving pumpkins last night and swung by Dairy Queen for chocolate dipped vanilla soft serve cones. What have you been up to? Are you celebrating this weekend in any way? What is smelling up your home?